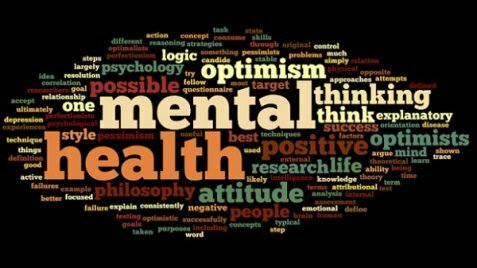 Health psychologists specialize in psychological, physical, and environmental factors that affect physical and mental health. The following summary will provide a simple overview of career education requirements and a few duties of health psychologists. Health psychologists have many job responsibilities. Specific responsibilities typically depend on specialties and work environments. Some health psychologists assist patients avoid health problems and encourage healthy lifestyles in clinical settings, while many conduct research at universities. Clinical Work: Health psychologists specializing in clinical work administer personality and behavioral tests, conduct interviews, and recommend treatments. Many organize interventions and group therapy sessions. While assisting patients, health psychologists teach stress reduction strategies, recommend tips to quit smoking, and encourage healthy lifestyles. Research: Some health psychologists specialize in research intended to improve patient evaluation and treatment, determine factors affecting health, uncover personal motivations for seeking medical assistance, and develop therapies for people struggling with chronic pain. Public Policy Work: Certain health psychologists are employed at non-profit groups or government agencies. These specialists typically consult with elected officials about public health problems, organize public awareness campaigns, and assist people living in poverty. Health psychologists are employed at universities, private businesses, health clinics, non-profit groups, government agencies, and hospitals. Specialists typically work at private clinics. Health psychology specialties include smoking cessation, women’s health, pain management, oncology, pediatrics, addiction prevention, and substance abuse recovery. Some health psychologists work at community health centers organizing community health initiatives and assisting the underprivileged. Health psychologists usually hold doctorate degrees in psychology or related fields. Many health psychologists earn bachelor’s degrees in psychology before obtaining graduate degrees in health psychology. Many universities administer health psychology graduate degree programs. Students should consider whether they want to specialize in clinical work or research since certain programs are better designed than others for preparing students for these specialties. Most states require health psychologists aspiring to practice clinically to complete a one year supervised internship. The American Board of Professional Psychology provides board certification in this field.